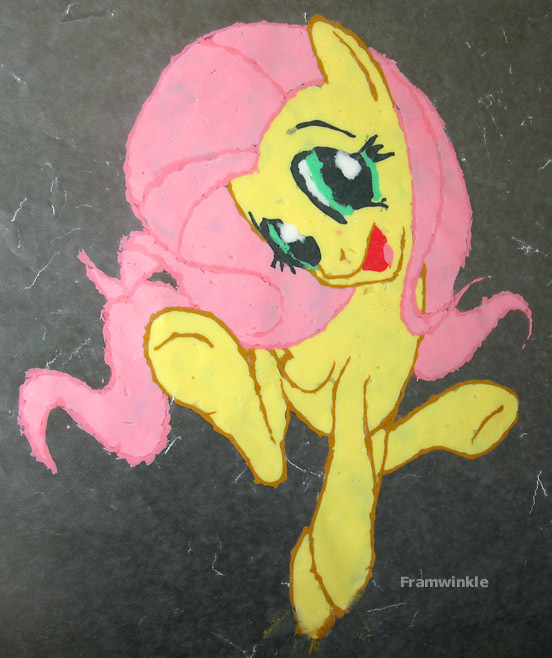 I drew Fluttershy in icing on wax paper so that I could put her onto a cake for a Brony meetup. Unfortunately, she stuck to the wax paper, and I wasn't sure how to get her off without destroying her. I stuck her in the freezer for a while until she was good and solid, and then quickly separated her from the paper with a spatula and stuck her on top of a generic store-bought cake. I wasn't quite fast enough, though, and her hoof thawed out and tore off. 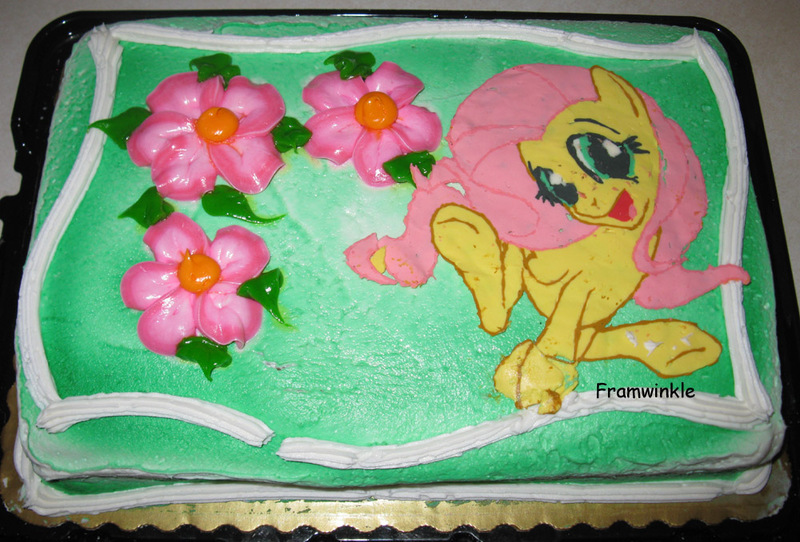 By then, the frosting was sticky again, and I couldn't reposition it.